Runyon Canyon Hike, Red Shirt Dive, September Trashy Diver Winners! Discover some of LA’s best hiking trails and experience stunning views of the city and canyon. Dine with the fishes and enter to win live and silent auction items to help support Aquarium Education, Conservation, and Animal Care Programs! Join us as we boldly explore the HMCS Yukon for a dusk and a night dive! 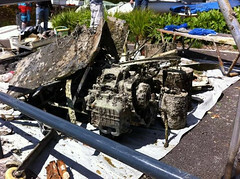 Volunteers removed more than 1 ton of waste during Net’Leman lake cleanup event. Photo from Genthod-Bellevue cleanup. 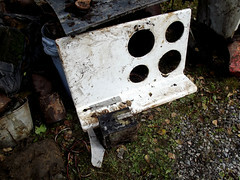 Stove collected by Eco Divers Thunder Bay.